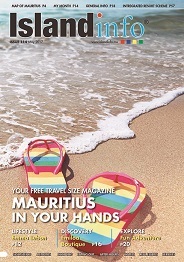 Over the past couple of years, Mauritius has grown to become a popular destination forwindsurfers, kitesurfers and surfers from all over the world, because of the turquoise lagoons, shallow water, white beaches and plenty of space for everyone to enjoy the waves. The temperature of both sea and air are pleasant all year round, with an average temperature between 23°C and 28°C. The most popular surf spots in Mauritius are located on the South and South West side of the island, but you will find a suitable place to surf in other regions as well. 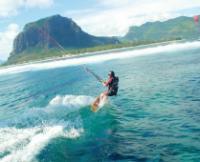 Located in the South West, Le Morne is famous for its beautiful beach, world class waves and shallow waters. This has not gone unnoticed to surf brands worldwide and it is therefore that Le Morne is often selected as the place to shoot their promotional videos. Inside the lagoon, there is plenty of space to blast away and practice your surfing skills. But beyond the lagoon, there are numerous wave spots such as ‘One Eye’ and ‘Manawa’, which are only suitable for experienced surfers. There are a great number of surfing schools located in Le Morne and because of the range of conditions, this spot is ideal for those of you who would like to learn how to ride the waves. when the whole village is on a buzz and onlyhave one thing in mind: surf-ing. On those days, Tamarin is back to the Flower Power times that left several footprints in the village..
kitesurfers need to stay aware and steer clear of the shore after launching. Once those dangers have been successfully avoided there is nothing to hinder the enjoyment of kite-surf-ing in this spectacular location!